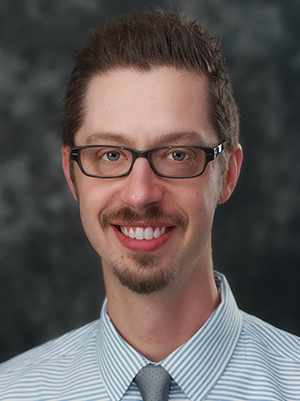 Jason Ricco, MD, MPH, joined the University of Minnesota North Memorial Family Medicine Residency faculty in 2014 after completion of a 2-year NRSA-funded primary care research fellowship at the University of Wisconsin. As an Advancing Health Equity and Diversity (AHEAD) Scholar, Dr. Ricco's research interests include the impact of implicit bias and structural racism on health disparities, innovative care models that holistically address social determinants of health, and the evidence and policy implications for medical cannabis. He has received funding to pilot a community health worker (CHW) program targeting social isolation in North Minneapolis. 2015-16, UCare Foundation, "Flipped Medical Home: Addressing Upstream Health Determinants of Patients with Diabetes with Community Health Worker-Based Care Coordination"
Ricco J, Danner C, Pereira C, Philbrick AM. “The Times They Are A-Changin’” Knowledge and perceptions regarding medical cannabis in an academic family medicine department. PRiMER. 2017; 1:20. DOI: 10.22454/PRiMER.2017.593677. Impact Factor: Not yet assigned; Sum of times cited: 0; Dr. Ricco was the primary author of this manuscript. Ricco J, Benson J, Prasad S. PURLs: SSRIs for depression/heart failure patients? Not so fast. J Fam Pract. 2017. 66(9):564-67. Barrett B, Ricco J, Wallace M, Kiefer D, Rakel D. Communicating statin evidence to support shared decision-making. BMC Family Practice. 2016;17:41. doi:10.1186/s12875-016-0436-9. Impact factor: not available yet; Sum of times cited: 2; Dr. Ricco contributed to writing, editing and reviewing the manuscript. Impact factor: not available yet; Sum of times cited: 0; Dr. Ricco performed the primary data analysis, as well as edited and reviewed the manuscript. Ricco JA, Attanasio L, Bergeson K, Prasad S. Perceived control in past contraceptive experiences as a lasting influence on contraceptive behavior: a focus group exploration in urban African American women. J Fam Med. 2014 Aug; 1(1):6-12. Impact Factor: not assigned yet; Sum of times cited: 0; Dr. Ricco acted as guarantor of integrity of study, developed study concept, developed study design, defined intellectual content, conducted literature research, supervised focus groups, acquired data, prepared manuscript, edited manuscript, and reviewed manuscript. Wallace ML, Ricco JA, Barrett B. Screening strategies for cardiovascular disease in asymptomatic adults. Prim Care. 2014 June; 41(2):371-97. Impact factor: 0.833 in 2013; Sum of times cited: 2; Dr. Ricco conducted literature review, and prepared, edited, and reviewed the manuscript. Ricco J, Prasad S. PURLs: The shrinking case for saw palmetto. J Fam Pract. 2012 Jul; 61(7):418-20. Impact factor: 0.735 in 2013; Dr. Ricco conducted literature review, appraised literature, prepared manuscript, and reviewed manuscript. Kuntz SW, Ricco JA, Hill WG, Anderko L. Communicating methylmercury risks and fish consumption benefits to vulnerable childbearing populations. J Obstet Gynecol Neonatal Nurs. 2010 Jan; 39(1):118-26. Impact factor: Sum of times cited: 8; Dr. Ricco conducted cited research as well as writing and editing the manuscript. Wallace ML, Ricco JA, Barrett B. Screening strategies for cardiovascular disease in asymptomatic adults. Prim Care. 2014;41(2):371-97. Ricco J, Prasad S. The shrinking case for saw palmetto. J Fam Pract. 2012;61(7):418-20.